The Ride5 Media Group is having a contest for new filmmakers to earn $500 for a short film. They're a new class of creative agency. They offer clients customized media services, develop cross-platform products for their own consumer audiences and produce feature films. A quick rundown of the contest: they are looking for filmmakers to create a short and creative film that can be shot on any type of equipment such as an HD camera, a cell phone, or even grandpa's Super8. 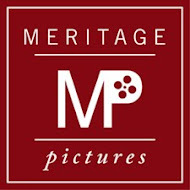 The basic requirements are to incorporate their logo in the film and the length of the video must be under three minutes.